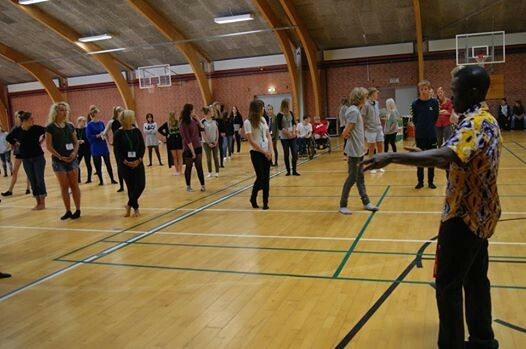 African Footprint International, a Cape Coast based music and dance group last week held a one day workshop for over one hundred students of the Aarhus Efterskole in the Danish city of Aarhus. 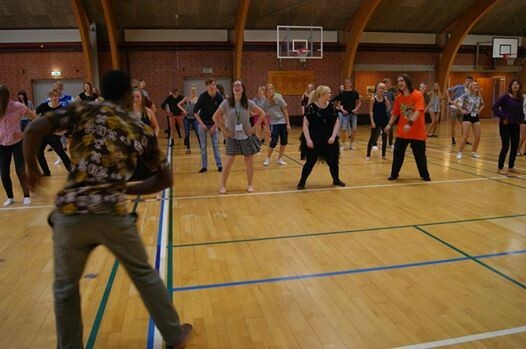 Currently on a performance tour of Denmark and other Scandinavian countries, the group led by Samuel Kweku Addison introduced the students to the rudiments of various Ghanaian traditional rhythms, dances and songs. 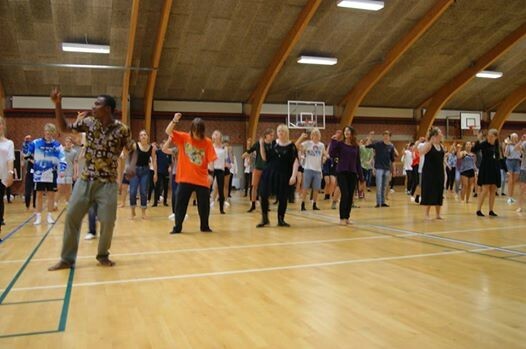 With diverse rhythms from musicians of the African Footprint International, the exuberant students moved in circles and sang Ghanaian folk songs as they danced elements of Northern Ghanaian dances such as “Bamaya” and “Damba”. 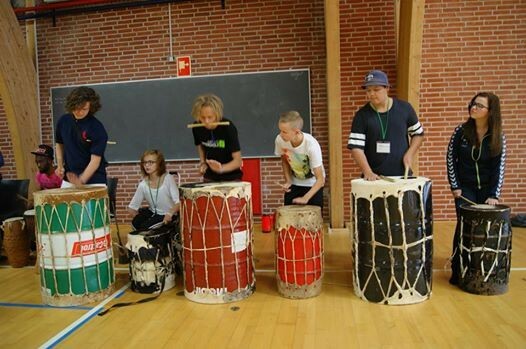 Drummers from the school, which included both students and teachers, were equally taken through various Ghanaian drum rhythms as they freely explored their skills through improvisations. 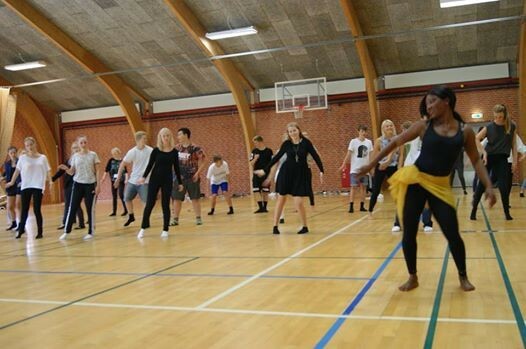 “It is always interesting to meet other cultures – we like other cultures and improvisations. 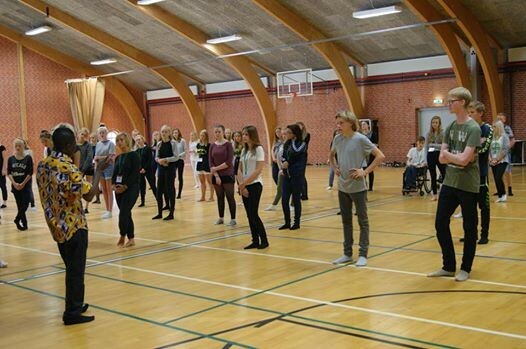 Indeed, it was a huge experience for the students as it stimulated the creativity in them”, said Mikkel Søltoft, a teacher at Aarhus Efterskole. 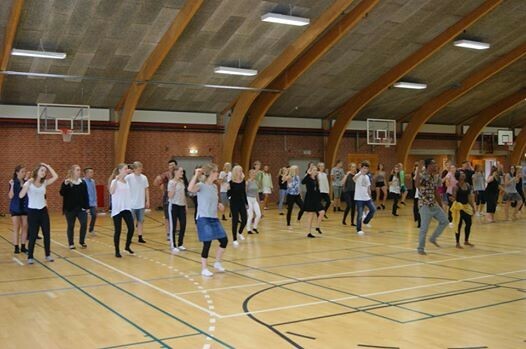 “I really like the dance movements, it was very interesting and we had a lot of fun. 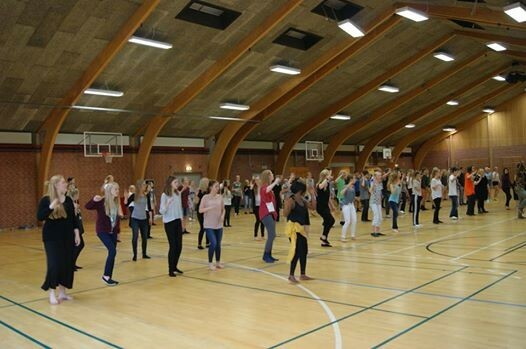 I will surely like to do it again whenever they are here”, added Jennyfer Valderrama Ramirez, a student. 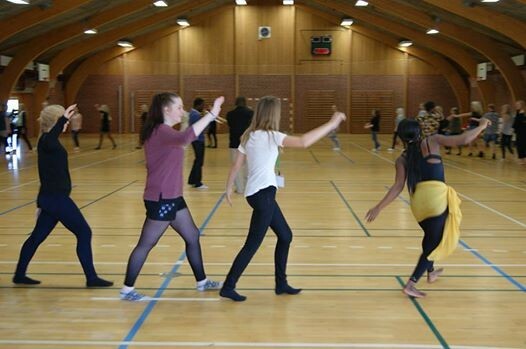 “It was great for us to learn new rhythms and dances from Africa – we managed it despite the fact that they were faster than we are normally used to”, continued Johan Skjold Knudsen, also a student. 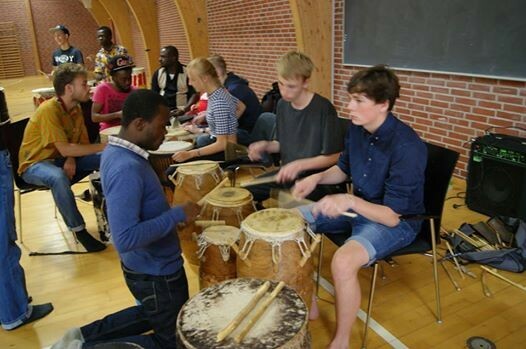 Based in Cape Coast, the tour of African Footprint International in Denmark is being supported by Keld Hosbond, Royal Music Academy (Aarhus), Klejtrup Musikefterskole, Addison’s Mighty Works Aps and www.artsghana.org.